A Day With Alison – Step into your new life! This program enables you to finally let go of repeating the ‘same old, same old’, and truly believe in yourself and your self worth, guided by an expert at locating and releasing out old patterns and limiting beliefs about your life, including relationships, that is the relationship with yourself first. Finally, I will Share all that I know on how to “feel” better for much more of the time. I did it, there is no reason why you cant have the same Joy in you life. I will gently yet powerfully support you through this process, because it works. There is no pain left in those memories at all, just a lot of self-love. Alison has a true gift and I cannot thank her enough for her help, support and assistance, she has changed my life for the better.I booked a full day appointment knowing absolutely nothing about EFT/Matrix Re-imprinting. I wanted to fully embrace the experience with my arms wide open so I never investigated, read reviews or watched videos and it really was the best thing I have ever done – I just wish I had found Alison years ago! I have truly benefited from my sessions, they have been life changing. I have dealt with some serious, deep rooted issues which I have carried all my life, issues that have held me back from really enjoying and embracing life. It has only been a short time since my last session and I have already noticed positive changes in my life and I’m a happier person who finally feels at ease. Thank you Alison, you are stuck with me for life! A Day with me – Move on up was absolutely amazing! I’ve effortlessly broken through some creative blocks that have had me very frustrated – I’ve come up with a name for my business, booked a designer, given a very clearly defined creative brief and just feel like I’ve been able to make some very decisive choices about my business since the weekend. I can often find myself in analysis paralysis where I go around in circles, consulting endless books/websites/people, rather than trusting my own judgement. But that is changing and it feels great. The energy has definitely shifted with my husband. I don’t know what it is, but we have been much more loving and gentle towards each other. Kinder perhaps. More appreciative. I’ve been much more present with my daughter. Really noticing how funny she is and enjoying my time with her rather than feeling rushed, stressed and distracted like I have been in the past. • Often Sick or unwell? A Day with me can change your life, are you willing and ready to commit and make a deeper change? A Day with me – Real Commitment, well done! Learn the basics of EFT & together we identify issues, and a brief on where you are at and what you wish for. Importance of your environment & support: Your family, friends, what you eat, watch, listen to. Power release! The turning point of your programme, Matrix Reimprinting to continue to banish negative thoughts and beliefs ie I cant do it, Im trapped….into, freedom and peace to move on. Feeling the vibe – Create your vision board, allowing dreams to awaken! Start by contacting me today, half the problem is often taking action! Book a day with Alison Monaghan today! Alison provides a supportive and holistic approach to effect rapid changes and experiences in a safe environment. 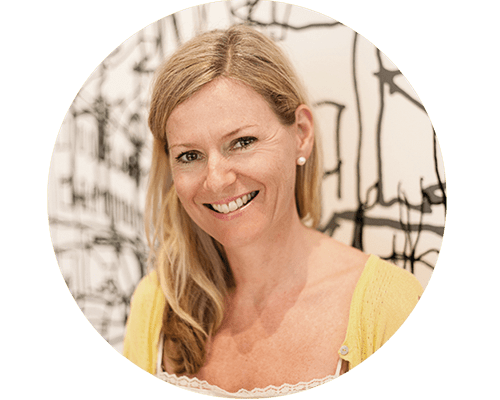 Alison will guide you through through the process, answer your questions, enabling a long-lasting change and positive results. So…are you ready to a powerful day of change with me? Want To Achieve Lasting Change? Career change and belief systems I am just embarking on a new career in corporate training and have going through self doubt and a lack of self confidence as to whether I could deliver a successful training session that was both enjoyable and informative with good content and delivery. I went to see Alison in order to work on my limiting beliefs and get over my fear of getting in front of a group of people and delivering a 2 hour workshop. I am delighted to say that it has done wonders. I have just come back from the training session I delivered with a new confidence and a totally new belief system. I know it wasn’t just me, I did the exercises that Alison showed me before my delivery and even a clever little one when I first started and when I felt the nerves coming on. I am very pleased with the way the whole presentation went and got some excellent feedback. I found Alison very approachable, down to earth and easy to talk to and work with. The techniques were great and they worked far better than when I tried to do this myself. I look forward to working with Alison again through other issues. I would highly recommend Alison to anyone that is wanting to experience positive shifts in any area of their life including physical pain that might be holding you back from living a full and happy life. Self-Acceptance Yes, I’ve fallen in love with myself and I feel pretty good about that! I most definitely feel a transformed perspective in relation to my childhood. I feel it physically and emotionally. Thank you so much for your caring and integrity. I greatly appreciate it. Confidence I just wanted to thank you again for your support and facilitation in my healing journey. I experienced such a profound shift during our session and have been feeling stronger within myself, and my own confidence levels, and flow of communication ever since. Self Love Your intuitive and encouraging work with me last week (can’t believe it was only a week ago) has really been of great benefit. It’s hard to explain but I can feel that something internal has fundamentally shifted and I’m just finding myself so much more positive. Something has definitely clicked differently.